WASHINGTON (KTRK) -- Donald Trump is Time magazine's Person of the Year. The president-elect's selection was announced Wednesday morning on NBC's "Today" show. The Manhattan real estate magnate went from fiery underdog to win the White House over Democrat Hillary Clinton. Trump won the Electoral College vote, while Clinton won the popular vote. 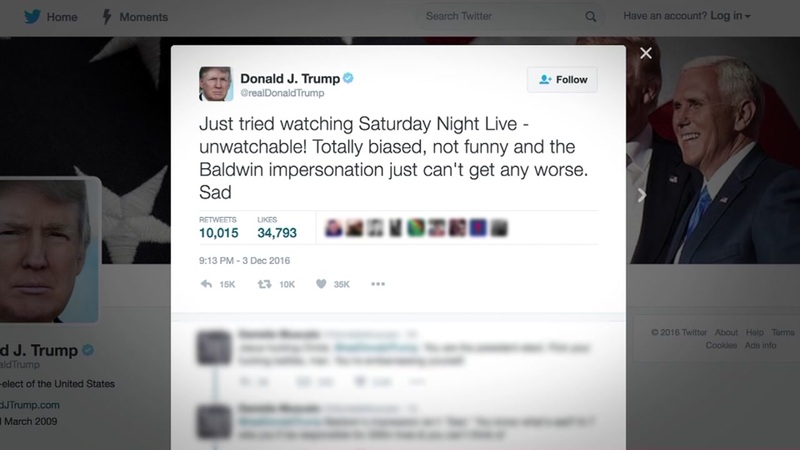 Donald Trump responded to an SNL sketch on Twitter after the sketch mocked him for using Twitter too much. Time's managing editor Nancy Gibbs said Clinton was the No. 2 finalist.